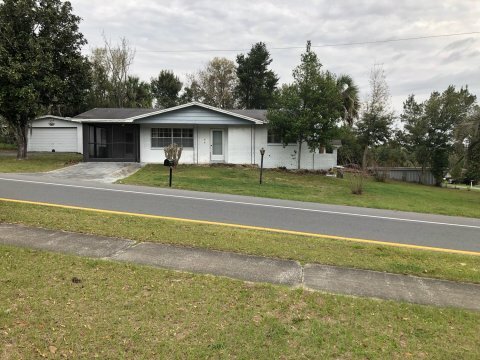 Sell Your House With A Flat Fee MLS Listing In Clermont, Florida! Clermont, Florida is a city of approximately 35,000 people, located in Lake County. The city is about 22 miles west of Orlando, Florida, and located near the very center of the state. Weeki Wachee is along the Gulf Coast and is about 60 miles away. Titusville is found along the Atlantic Coast and is approximately 65 miles away. With this prime, centralized location, residents are able to enjoy the best of both Florida coasts. The rolling hills, beautiful lakes, and superior climate attract people from all over the country. List Now Realty doesn’t work like the other flat fee agencies you may have seen in the area. Our services are all-inclusive, without any hidden fees or charges. We will provide you with all of the benefits of an MLS listing, and modify it as frequently as you need to. Our fees are very low and can help you save thousands on the sale of your home in Clermont, Florida. We work with all types of homeowners sell their homes, helping them to keep as much of the profit as possible. We Help Local Investors Save Thousands! Investors are likely making several transactions each year. If they are paying 6% on every sale, they are losing thousands of dollars in revenue they could be keeping in their pocket. The amount of money we can potentially save you is staggering. Choosing to use a flat fee listing will help you retain more profits on the sale while improving your overall bottom line. Don’t pay an expensive agent to do what you can easily do on your own! We provide flat fee MLS listings in Clermont, Florida, as well as many other parts of the state. Our coverage area includes Charlotte, De Soto, Hillsborough, Lake, Manatee, Okeechobee, Orange, Osceola, Pasco, Pinellas, Polk, Sarasota, Seminole, Sumter, and Volusia* counties!